Christine's Joie de Vivre: Fabulous Miami--THE Social Network Club to Join! Fabulous Miami--THE Social Network Club to Join! "Darn! I missed this one. Love firefighters!" Fabulous photo isn't it? Well the above picture is taken from one of many monthly, weekly and even daily events and activities sponsored or promoted by Fabulous Miami --the most prominent and popular social networking club in Miami! 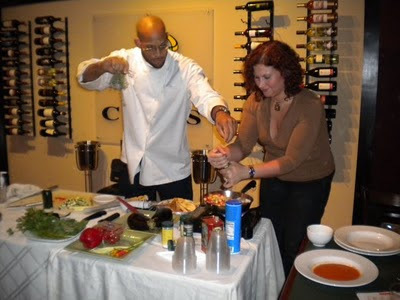 Fabulous Miami offers an array of fun and cultural events for the Miami professional. From happy hours, to fashion shows, to cooking classes, to benefits for a cause, to get togethers for watching sporting events like soccer matches, tennis tournaments, the list goes on! Some events are free, while others range in price depending if tickets are required. Fabulous Miami attracts professionals in their 30's, 40's and 50's, single and couples, with a common interest to learn, absorb, and appreciate the culture, the flavors, the rhythms of Miami while at the same time making new acquaintances, friendships and business relationships. 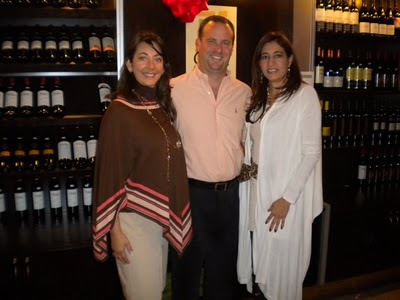 A definite plus are the personal introductions made by founder Fabiola Castro! She has a computer memory for names and will ensure you meet other members and newcomers. So feel free to come alone. By day's end you'll have a bulge of business cards or roster of names! To sample a flavor of Fabulous Miami, you can request inclusion in their email announcements by emailing fabiola@fabulousmiami.com . Be sure to tell her, you read this posting by Christine Michaels! Or follow Fabulous Miami on Facebook at "Fabulous Miami LLC". (Fabiola is the brainchild of the club and the QUEEN of social networking. She literally knows everyone!). Be sure to check out their website at http://www.fabulousmiami.com/. See you at the next Fabulous Event!